Hawkes Bay Youth Ministock driver Jarrod Lindsay had one of those days that will live long in the memory - for all the wrong reasons. Having seemingly secured a comfortable victory in the 3 heat West Coast Youth Ministock Champs, Lindsay had the mortification to be told that he would receive a 4 place relegation in the first heat (for moving under the red lights). This dropped him to level on points with Wellington's Todd Jenkins. In the run-off Lindsay took the chequered flag, only for the referees to rule that the 4B driver had made contact with the 13W car. And while that decision would normally have seen a reversal in placings, the promotion made the call to have the title shared!!! 39 cars rolled in to the pits on a very hot Sunday to do battle for the West Coast Youth Ministock Champs - a good mixture of drivers from around the lower half of the North Island tracks supplemented by 4M Caitlin Hayward and 17H Troy Mace. The cars were split in to two groups with two heats run to decide the 26 cars for the 3-heat finals. Wins were secured by 4B Jarrod Lindsay and 13W Todd Jenkins. 247P David Marshall however secured top points with a 2nd & a 3rd ahead of Jenkins and 92V Aimee Barnes. Well performed 34B Caleb Waerea had two less than impressive outings to just scrape on to the right side of the ledger. 72P David Lowe was unlucky to miss the cut when a second heat relegation pushed him one point outside the 13. 97W Jordan McLeod looked strong in heading the 2nd group with a 3rd and a first. He was well clear in the points with a 6 point gap back to 174W Jayden Musgrove and 79S Jayden Meyer. First heat winner 98B Max Bayley throttled off in the second dig to comfortably qualify. The final field had a track representation of Wellington (8), Wanganui (6), Hawkes Bay (4), Palmerston North (4), Stratford (3) and Mace from Huntly meaning we had a fair spread. On a slicked off track it was going to be difficult to avoid the reds for too long. Two early casualties were 58S Bayley Betts and the talented 98B Max Bayley extinguishing their title shots. The reds were thrown in lap 3 when 97S Tom Meyer executed a roll in turn 3 of his own doing. At this stage 34B Caleb Waerea held a narrow lead over 99P James Mallia and 247P David Marshall. Waerea held the lead until the reds were thrown in lap 6 when 73V Olivia Huijs wound up taking a shot after getting sideways. But the pressure told eventually when Waerea surrendered the lead in the final lap eventually crossing the line in 4th behind 4B Jarrod Lindsay, Marshall and 13W Todd Jenkins. Worse was to follow for Waerea when the referees pushed him down a further two places for contact - from 1st to 6th on the last lap!! 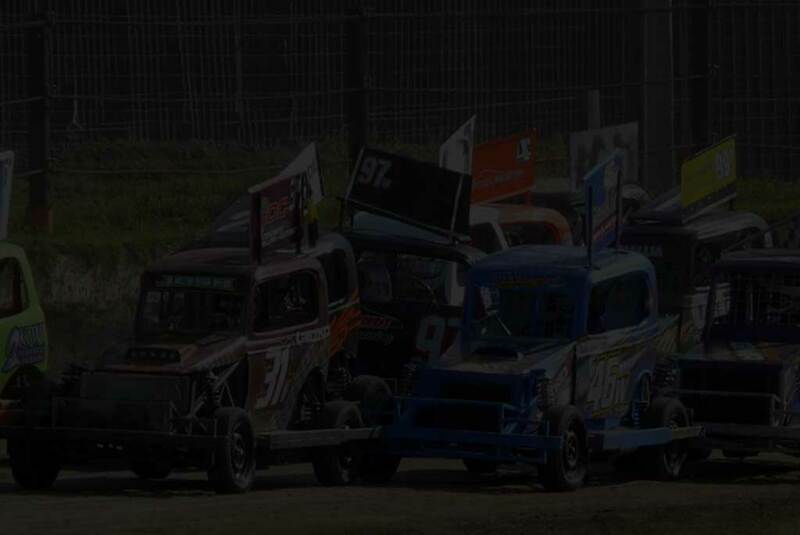 Things started to go pear-shaped for a number of drivers in heat two with Huijs out after contact with the wall while 17H Troy Mace suffered the same fate in lap 4 (incurring the ire of the referees as they binned 79S Jayden Meyer for causing the incident). A couple of laps later and things got ever uglier when the reds were thrown to remove 99P James Mallia and 28B Trent Palamountain for excessive contact. All the while 31W Joshua Patterson kept his nose clean to claim the win ahead of Lindsay and 92V Aimee Barnes. Waerea had stormed up the field to 5th after being last early on. While the referees room was starting to strain under the weight of protests, Lindsay had cleared out to a 4 point lead over Jenkins who had 3 points on Patterson. Remarkably this was an incident-free race with drivers concentrating hard on picking the right lines on a slippery surface. 97W Jordan McLeod comfortably operated out in front for almost the whole race to head off Bayley and Lindsay. An initial glance at the screen suggested Lindsay had easily accounted for Jenkins and Waerea to top the podium. If only things were that simple!!! A protest from the first heat was upheld claiming that Lindsay had moved under red lights - the subsequent penalty being a four-place relegation, And voila - we had Lindsay and Jenkins tied on points. The Lindsay camp argued valiantly (and in vain) that the result was unknown to them before the start of the 3rd heat. So off to the track we went for a 4-lap run-off. Jenkins got the better start but Lindsay bustled his way through to draw level. Jenkins held the upper hand after one lap but Lindsay urged his way past in turn one to take the lead, which he held to the finish. Game, set and match to Lindsay. Ah....don't go home yet folks. The referees saw fit to note that there was contact from Lindsay on two occasions with the referees ruling a reversal of the result. However in an act of clemency, the promotion decided to record the result as a tie. So it was just one of those days for the Lindsay team but a share is better than 2nd methinks.